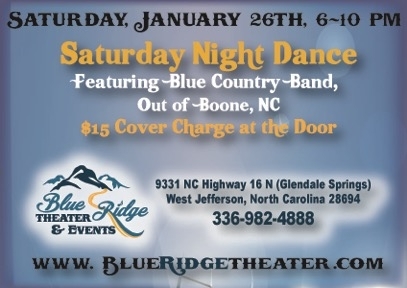 Join Blue Ridge Theater & Blue Country Band as we kick off our Saturday dance nights! Country music with line dancing! Don’t know how to line dance? Join us at our Thursday night instructions. For more information, visit blueridgetheater.com. Pay at the door $10.00/person.